JACKALMAN ambushes SNARF and attempts to steal the Sword of Omens. This gives PANTHRO the idea to make a duplicate Sword as bait for the MUTANTS. Leaving SNARF at the Lair, the THUNDERCATS spread the word that the Lair is unguarded. Two TROLLOGS overhear this and inform the MUTANTS. 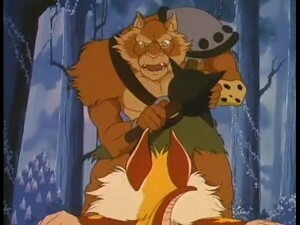 JACKALMAN and MONKIAN go to the Lair, seize the duplicate Sword and capture SNARF. They hand over the duplicate Sword and SNARF to S-S-SLITHE, who goes to MUMM-RA with a deal for power. MUMM-RA overpowers S-S-SLITHE and seizes the Sword. The real Sword alerts Lion-O that SNARF is in trouble. LION-0 and PANTHRO rush to rescue SNARF from the pyramid. 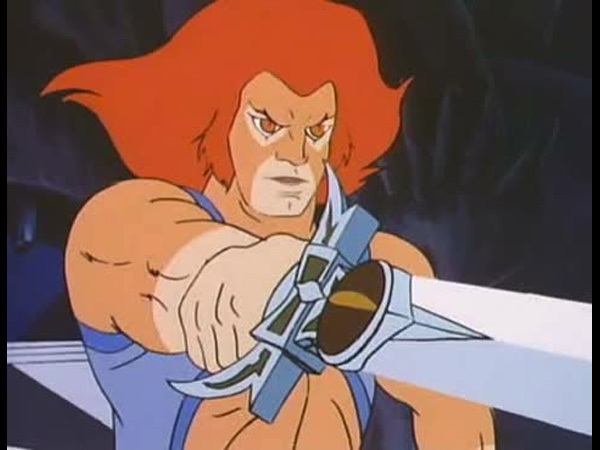 LION-0 summons the other THUNDERCATS with the real Sword, blasts through the pyramid’s wall and saves SNARF. Confused by the real Sword in LION-O’s hand, MUMM-RA summons the Eye of ThunDERa in his duplicate Sword. The Eye flickers and opens to reveal a mirror instead of the Eye of ThunDERa. 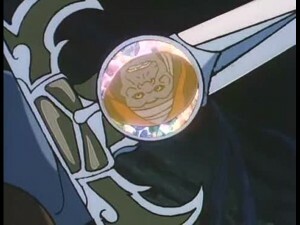 MUMM-RA is repelled by his own hideous reflection. The ThunderCats’ use of trickery in making a duplicate Sword of omens to trap the Mutants backfires when Snarf is caught and kidnapped by Monkian and Jackalman. 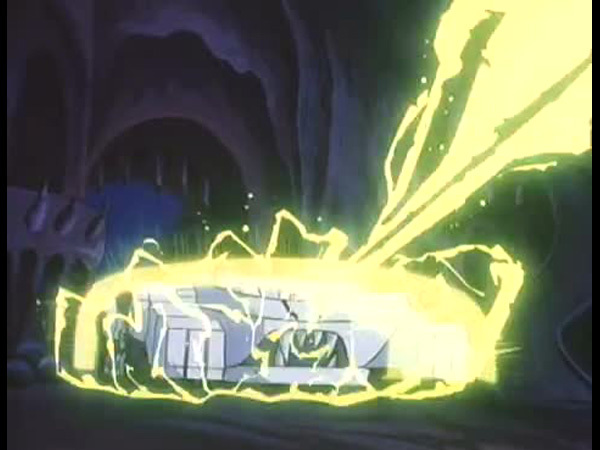 But the inability of the Mutants to work together among themselves or with Mumm-Ra leads to Snarf’s rescue. 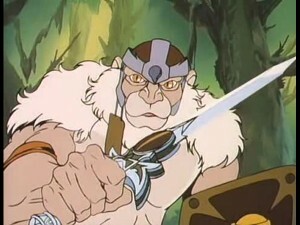 S-S-Slithe uses a might-is-right philosophy to take the Sword of omens and Snarf from the other Mutants. 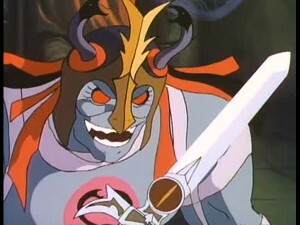 But his prediction that someone stronger always comes around proves correct when Mumm-Ra seizes the Sword from him. Lion-O, however, foils Mumm-Ra’s hopes to learn the secret of the Eye of ThunDERa, by exposing the sword as a fake and using its mirror to reflect Mumm-Ra’s evil image back upon himself. 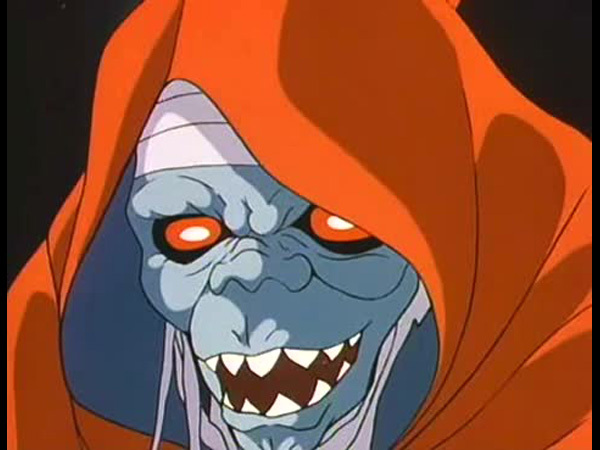 Mumm-Ra’s inability to withstand the sight of his own image typifies the lack of self-respect felt by someone who knowingly does evil. The ability to make good moral judgments resides in each of us. Even S-S-Slithe shows he is aware of what he is doing by citing his philosophy that might is right. But we pay a price when we ignore our moral judgments and follow an evil course. Wrongdoing leads not just to the loss of respect by others, but to something much more critical. It leads eventually to the forfeiting of a precious asset, the ability to believe in respect ourselves. When we do something wrong, we feel guilty. This feeling serves a good purpose, because it reminds us that we have gone against our moral code. And when we ignore our moral judgments, we run the risk of losing our self-respect, like Mumm-Ra. Our goal should be like that of the ThunderCats, to live in harmony with our moral code and with ourselves. One of the distinguishing characteristics of ThunderCats and other cartoons from the 80s era is a positive life message in the story. Sometimes this message would be delivered in the form of a quote by a main character, while other times it would be more subtle. Showing the righteous action taken by a ThunderCat, or the terrible consequence suffered by a villain was the general formula to illustrate the moral behind the episode. 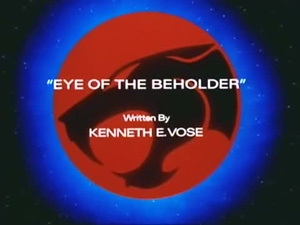 Writer Kenneth E. Vose puts a spin on this and turns the tables on the ThunderCats themselves in his episode “Eye of the Beholder”, making them a poor example to be emulated. While normally the Mutants or Mumm-Ra cause trouble for the ThunderCats, in this episode it is the feline heroes’ own actions which land them in hot water. 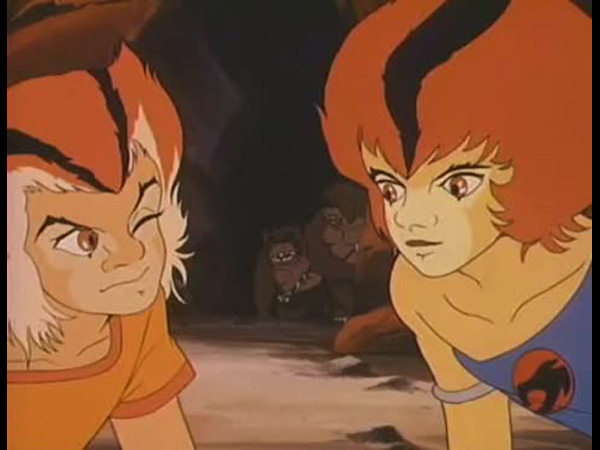 Instead of serving as the role models, here the ThunderCats convey a lesson in what not to do. The wheels are set in motion right at the beginning when a sudden attack on Snarf by Jackalman makes the nursemaid wish he had his own Sword of Omens to keep the Mutants at bay. 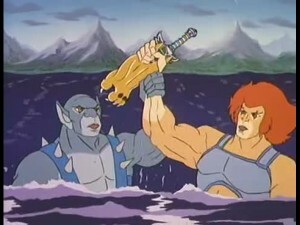 Feeling sorry for the sniffling Snarf, Panthro creates an identical replica of the sword for him. Seeing Panthro’s handiwork gives Lion-O an idea to play a prank on the Mutants by allowing them to gain possession of the fake sword. This kind of childish mischief is something that would normally be conjured up by the ThunderKittens and shows that Lion-O is still a child at heart. 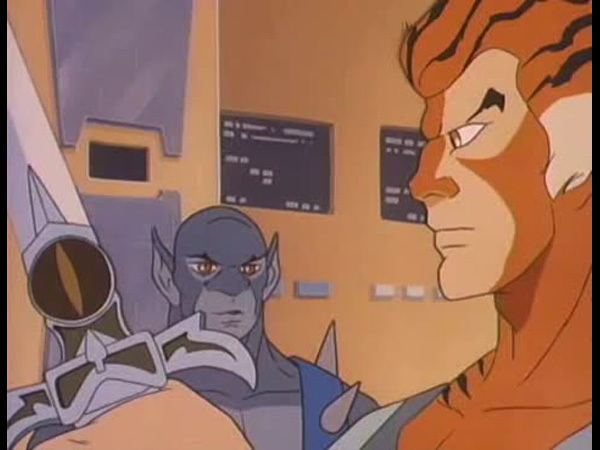 Lion-O’s immaturity is further highlighted when he refuses to call the other ThunderCats for help when going to rescue Snarf until Panthro reminds him that discretion is the better part of valor. Even the distrustful and selfish nature of the Mutants is explored very well by Vose. Each of the Mutant wants the (fake) sword for himself and S-S-Slithe even goes as far as bargaining with Mumm-Ra for it, albeit unsuccessfully. Monkian and Jackalman, not wanting to include S-S-Slithe in their plan, shows just how much they despise their reptilian leader. The episode is sprinkled with some funny moments here and there. The scene of Snarf crawling like a caterpillar out of harm’s way, and S-S-Slithe falling on his head while trying to avoid being run over by the ThunderTank, are both good examples of humor on display. The animation is decent and does justice to the script. And Mumm-Ra seeing his own reflection in the fake sword shows that not just beauty, but hideousness also lies in the eye of the beholder. What prevents a good episode like “Eye of the Beholder” from achieving greatness is the linear storyline. While very well written, it is too straightforward. The entire scenario of Snarf staying behind in the Cats Lair of all places and choosing the Sword Chamber to hide from the Mutants is illogical and is an overly convenient plot device. 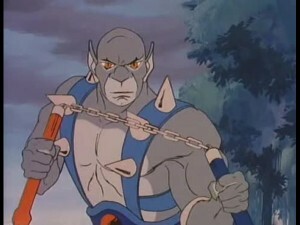 Nevertheless, Vose’s cautionary tale is a pretty good addition to the ThunderCats franchise. Jackalman displays his knowledge of idioms by uttering the incomplete phrase, “When the cat’s away,…”. Interestingly, in this episode the Trollogs are able to talk and also have a desire for acquiring wealth while in their debut episode “Berbils” they were depicted as mute savages who communicate by using grunts and gestures. Previously they were only interested in the leaves of the Trollberry bushes, their sole source of nourishment. 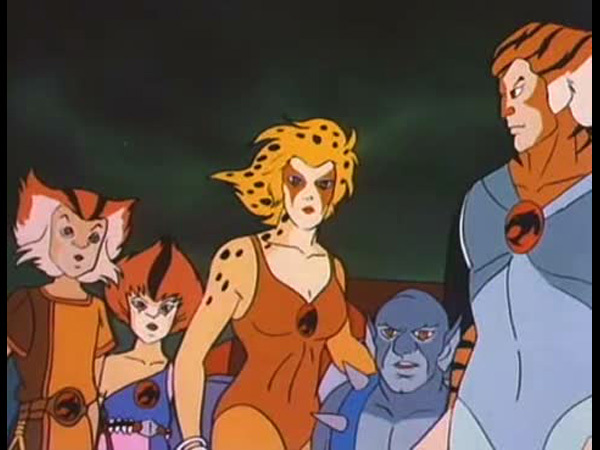 We learn from this episode that ThunderCats possess knowledge of Third Earth diseases such as pneumonia. The basic plot of this episode is a prank concocted by Lion-O backfiring. This echoes a small but vital scene in “The Tower of Traps” when Lion-O plays a joke on Snarf and learns an important lesson that a joke isn’t all that funny when it is on oneself.